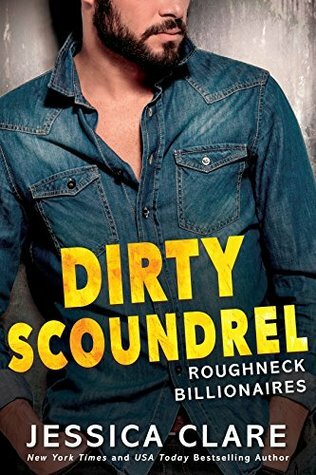 In a sizzling novel from the New York Times bestselling author of Dirty Money, there’s rich, and then there’s filthy rich when an oil tycoon takes being a roughneck billionaire to a new level. Clay Price has everything he’s ever wanted, except the one thing money can’t buy—Natalie Weston. Years ago, Clay and Natalie were in love…until she turned down his marriage proposal. Now Clay and his brothers are oil-rich billionaires, and they can have whatever they want. And what Clay wants is Natalie in his bed, no matter what it takes. If it means being ruthless, he’ll do it. Natalie gave up on true love years ago when the realities of the world destroyed her fairy-tale hopes. Giving up Clay is her biggest regret in life, and she’s excited to see him return…until she finds out why. Clay’s got one hell of a proposal for her: he’ll save her father’s business and bail Natalie out of debt if she’ll agree to become his very personal assistant. It’s clear that he wants more from her than just typing. Nice pick! Not my kind of read but I hope you positively love it once you read it! Oooh! This sounds like an interesting book! Great pick! I enjoyed her Paranormal Romance books I've tried but had the same issues as you probably with some of her Contemporary Romance. I still give them a go occasionally too lol. Oooo, Jessica Clare... I feel like I've picked up a free book by her on Amazon. I don't think I've read anything by her though. This one sounds good! I hope you enjoy this book when you get the chance to read it! I think there has been a freebie or two of hers before so I bet you're right :) Thank you!! Yeah they've not promo-ed this one all that much. Book 1 was good. Glad I didn't just miss it completely then. And YAY for book 1 being good! !